Lately, I have found myself in a reflective state of mind. Reflecting on my work, my goals, the small successes of the campaigns I’ve joined (Sea World agreeing to end the breeding of its captive whales); the near misses (the slow progress of the UK government in deciding whether to close the domestic trade in ivory); and the complete misses (never getting to see Tilikum free of his Sea World enclosure, CITES not delivering lions with Appendix I protection, etc.). I suppose it can weigh heavy. In need of a little pick-me-up, my thoughts went to the beginning —in fact, before the beginning —to the chain of events which began the ripple that would eventually flow into the creation of this sea of words; articles; posts. It begins with the memory of murdered photographer Julie Ward, whose book, ‘A Gentle Nature’, I won in a raffle many years ago. Below is a vlog I made a few years back, explaining who Julie Ward is and a little bit about her tragic story. 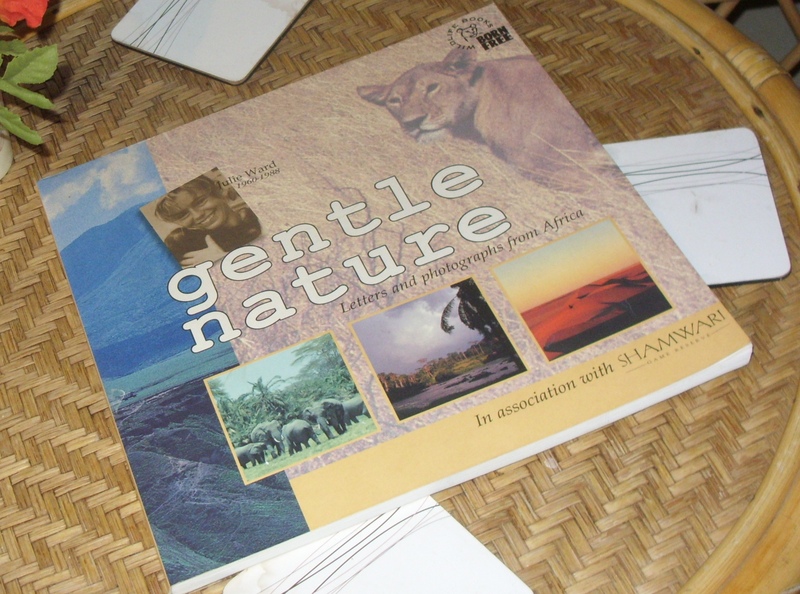 This is the book mentioned, which captured my interest in the Born Free Foundation and wildlife photography and was one of the inspiring factors which made me travel to South Africa to volunteer. I had chosen to volunteer at Shamwari Game Reserve because it is home to two Born Free Foundation sanctuaries for rescued big cats, and one of these rescue centres was opened in Julie Ward’s memory. Celebrating a job well done with my fellow Shamwari volunteers at the Born Free Foundation”s Julie Ward Education Centre. Since that vlog was filmed, a further development arose in the Julie Ward murder case, where new DNA evidence brought detectives a step closer to finding her killers. The following video shows a news report from BBC News in the East of England. I must apologise for the quality of the video and give pre-warning that to get the most from the video, it will require viewers to turn the volume to full. It was recorded on simple digital camera by my ever-supportive parents, and emailed to me during my year in Australia, so that I could watch it online from overseas. 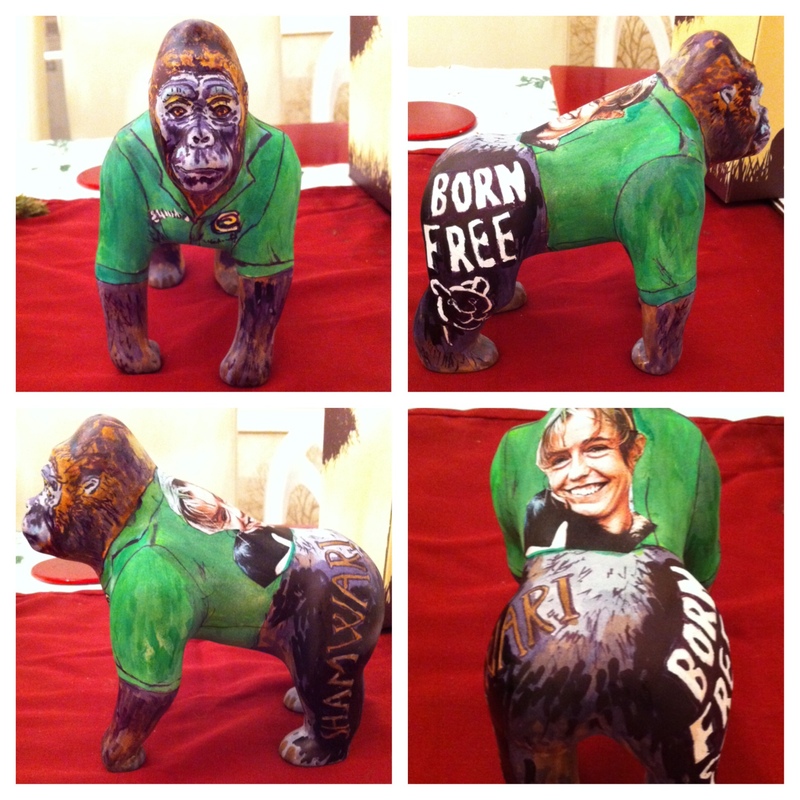 Back in 2013 I even designed my own mini Go Go Gorilla to send out to Born Free‘s Julie Ward Education Centre at Shamwari. The basic elements of my design were my Shamwari work t’shirt from my time as a volunteer there, the Born Free Foundation logo, and an image of Julie ward herself. Such were the reaches of their influence. It’s wonderful to reflect on my own locality, and how where I grew up ultimately had an influence on ‘how’ I grew up. There are so many wonderful figures who have inspired my path into gentle nature and compassion conservation. Those that I’ve followed throughout my life are: the late Joy Adamson (writer of the Born Free autobiographical tale of Elsa the lioness, and its sequels) and George Adamson (Joy’s husband, who had a lifetime of incredible conservation work in his own right, rehabilitating captive lions, such as Boy and Christian back into the wild) and the late Bill Travers and Virginia McKenna (who founded the Born Free Foundation with their son Will Travers, and whom played the roles of Joy and George Adamson in the Born Free movie). I would also, like many people, have to cite David Attenborough in my list of conservation heroes whose footprints I would love to walk in. 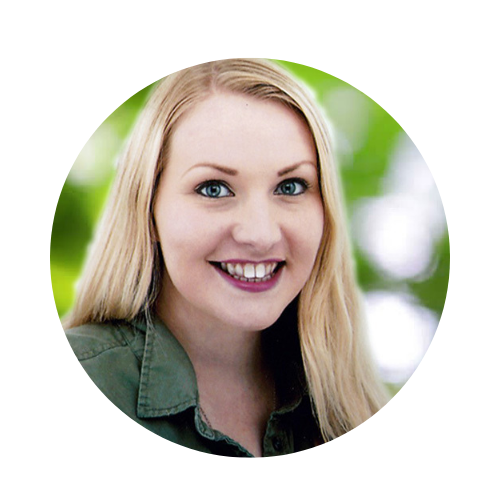 I am so grateful that, in blogging, I have found a way to honour those idols and to continue to grow in the shared goals; in all their triumphs, near misses, and total knock-outs.